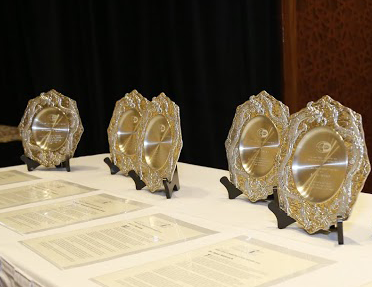 AMIC’s most prestigious annual recognition of excellence in media and communication has been made at a glittering gala dinner during AMIC’s 22nd international conference in Yogyakarta. The AMIC Asia Communication Award is bestowed upon a person for current or past efforts in the field. It is decided by a Jury of AMIC Board members. This year, the Award was conferred on two winners. 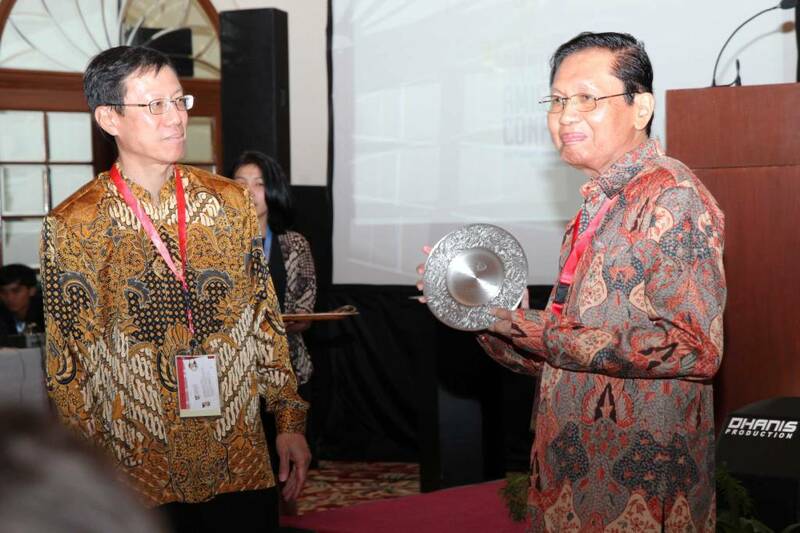 Emeritus Professor M. Alwi Dahlan, Emeritus Professor in Communication at the University of Indonesia, Jakarta, received the Award for “his outstanding contribution to communication research and education in Indonesia and internationally”. The second awardee, Mr. Jakob Oetama, President and CEO of Kompas Gramedia, one of Indonesia’s largest media conglomerates, was conferred the Award for “his outstanding contribution to excellence in print journalism and media development in Indonesia”. Both Awardees received their plaques from AMIC’s Chairman, Professor Ang Peng Hwa. As Mr. Jakob Oetama is in ill health, his award was accepted on his behalf by Mr. Ninok Leksono, Senior Editor of Kompas.